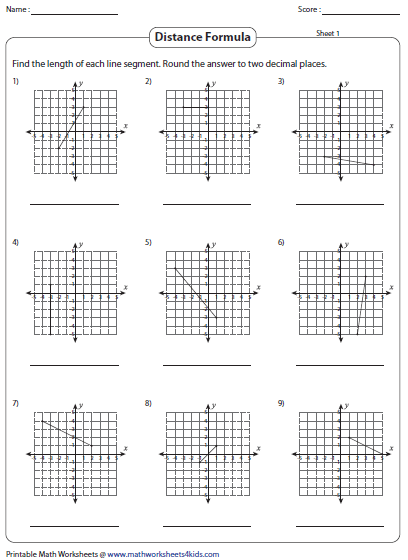 This module helps find the distance between two points (x1,y1) and (x2,y2). 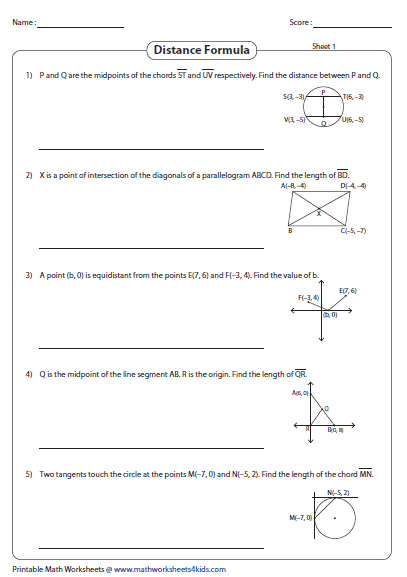 It consists of worksheets to find the length of the line segments. 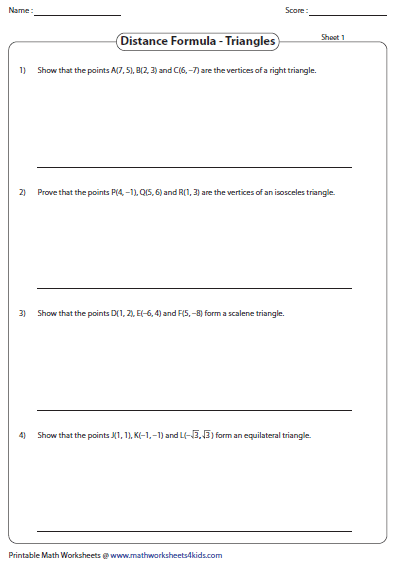 It also includes worksheets based on the classification of triangles and quadrilaterals. Besides, application of the distance formula in geometry is included here. Find the length of the line segments in each number line. Write the answer in units. 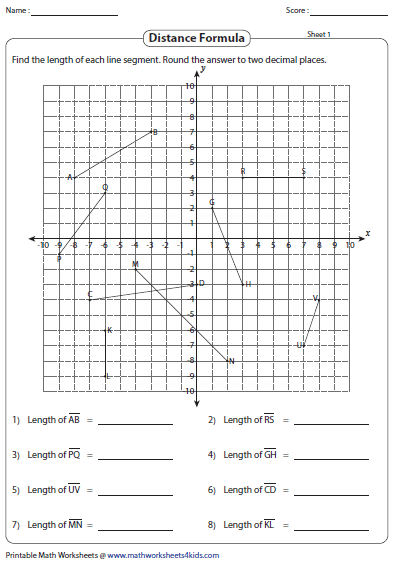 Each worksheet consists of three number lines. A line segment is drawn on each grid. 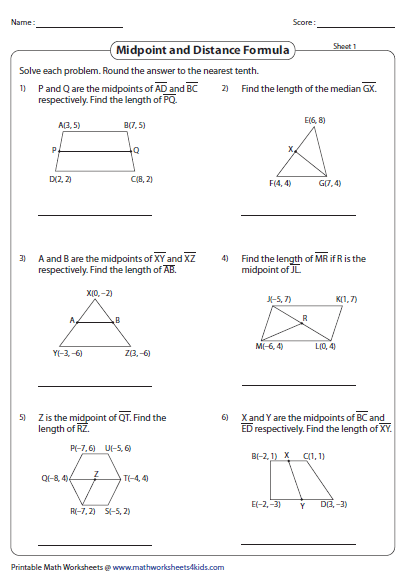 Find the length of the line segment. Round the answer to two decimal places. Using the distance formula, find the distance between two points. 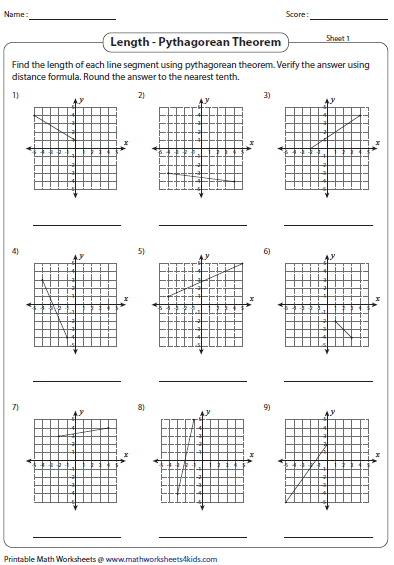 There are ten problems in each worksheet. Apply the distance formula to determine the length of the side in each shape. Round the answer to two decimal places. Using the distance formula, find the length of the line segments (horizontal, vertical and diagonal). 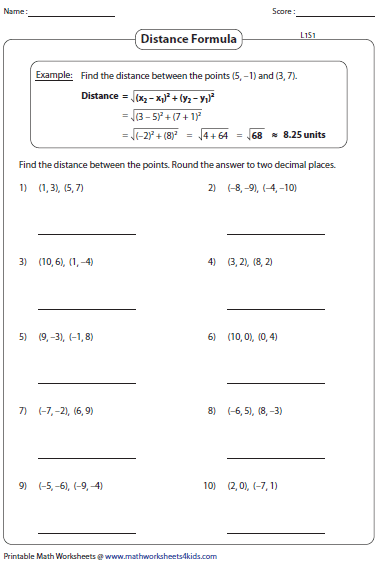 In these worksheets, find the missing coordinate with the given endpoints and the distance between them. Find the length of the line segments using the Pythagorean theorem. Use the distance formula to verify the answer. The vertices of the triangle are given in each problem. Apply the distance formula to prove whether the triangle is a scalene, equilateral, isosceles or right triangle. The vertices of the quadrilateral are given in each problem. Apply the distance formula to prove whether the quadrilateral is a rhombus, square, rectangle or parallelogram. 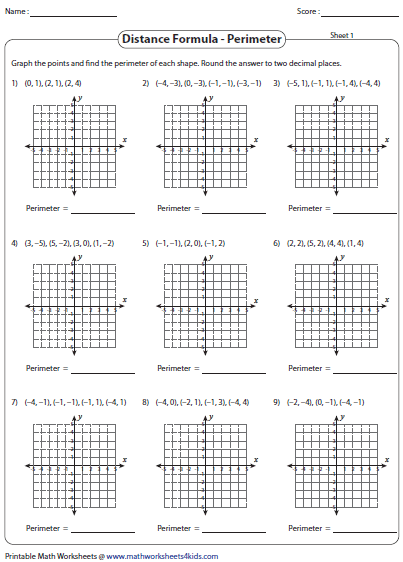 Plot the points on the grid. Apply the formula to find the perimeter of each shape. Apply mid-point formula and distance formula to find the missing length of the given geometrical figures. 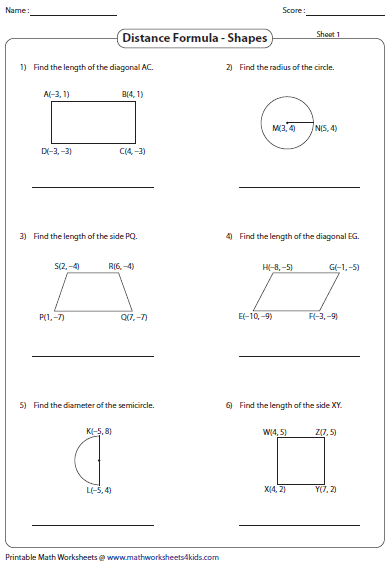 These worksheets comprise of various geometrical figures. Find the missing length. Round the answer to the nearest tenth.